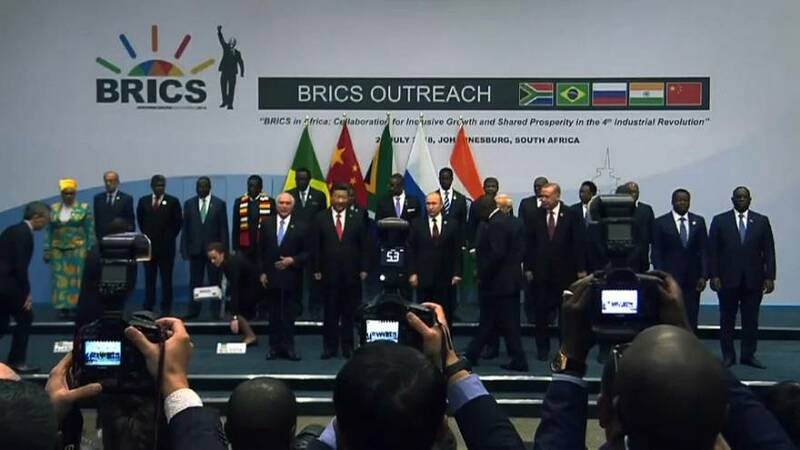 Leaders of the BRICS bloc of emerging economies, signed a declaration supporting an open and inclusive multilateral trading system under World Trade Organisation rules. Brazil, Russia, India, China and South Africa agree to fight unilateralism and protectionism. Nhlanhla Nene, Minister of Finance, South Africa says, "The biggest message is that we should work together. And in working together to address issues of common interest amongst the five member countries, one of them being that of actually making sure that we do not find ourselves behind the curve in terms of the fourth industrial revolution; and that we also continue to speak with one voice in defending multilateralism which is under attack." It comes in the wake of tariff threats by US President Donald Trump. The meeting of BRICS leaders is the first since the U.S. administration launched a push to re-balance trade multilateralism that Trump has deemed unfair. EU says US-Chinese trade tariffs "bad for world trade"